The Place Nationale in Montauban. 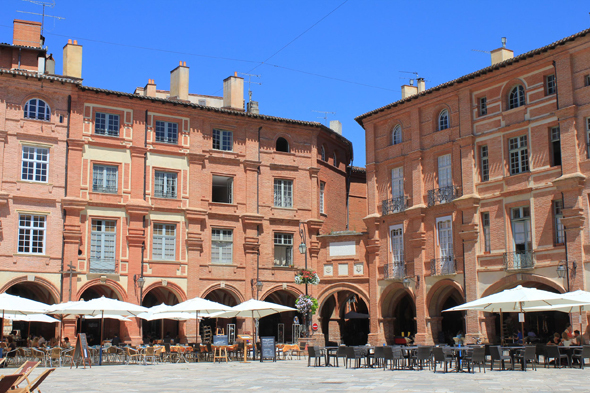 This square, core and nerve center of Montauban, was formerly lined with houses resting on wooden arcades. After two successive fires, arcades were, during the XVIIth century, reconstructed in brick-built.